Cryptocurrency payments are coming to new conspicuous consumer outlets in Switzerland and Italy thanks to a new payment platform from the Crypto Valley startup scene. As local Swiss news outlet Finews reported March 27, Bitcoin and Ether payments will come to the five-star Dolder hotel and Autohaus Kessel car dealer in May. Dolder is located in the Swiss financial hub Zurich, while Kessel has a presence in the Zug, Crypto Valley’s hometown, and also has outlets across the border in northern Italy. The outlets will accept cryptocurrency payments via Inapay, a smartphone-based payments app from Zug-based Inacta with contributions from Swiss finance platform Bity. An initial launch is scheduled within the next two months, Dolder and Kessel representing the first wave of takers before further merchants appear on Inapay later in the year. Commenting on the news, Lucas Betschart, Inacta’s head of crypto asset technology and president of industry group Bitcoin Association Switzerland, hailed a return to form for Bitcoin. “(Bitcoin) is back as a medium of exchange,” he wrote on Twitter. As Bitcoinist has reported, the ongoing cryptocurrency market downturn has led to considerable shifts in habits among investors. With the bear market now lasting longer than any other in Bitcoin’s history, tendencies have shifted from spending to storing and accumulating coins. This, research has shown, runs in line with the bull-bear cycles which have characterized Bitcoin markets since its inception. 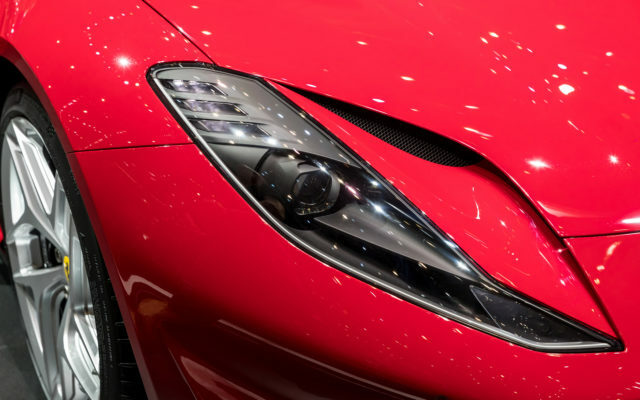 As such, potential uptake for luxury suites and classic cars – including Ferrari but not Lamborghini in Kessler’s case – may yet be limited as Bitcoin hovers around $4000 and Ethereum at $135, the latter down over 90 percent against its all-time highs. Nevertheless, Crypto Valley remains a hive of growth. The cryptocurrency and blockchain-focused business community continues to add to its membership, with rankings awarding it the title of Europe’s fastest-growing tech hub in December. 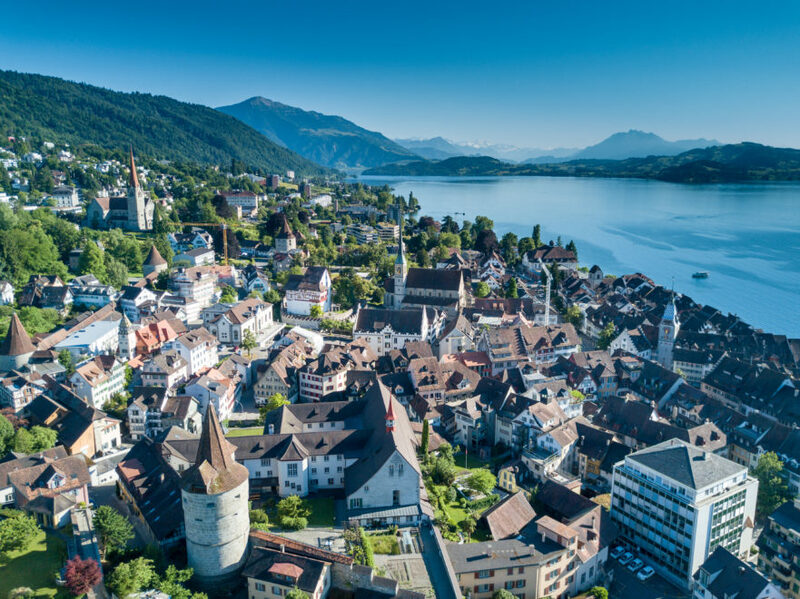 Advocacy of preferential regulations also form a central part of Crypto Valley’s activities, as lawmakers continue to grapple with the emerging phenomenon. Last week, the Swiss parliament voted in favor of including cryptocurrencies in adapted finance legislation, the aim being to “close gaps” in protections against money laundering and other bad actors. Behind-the-scenes moves accompany corporate ones which will be considerably more noticeable for the average citizen, whether or not they hold cryptocurrency. Earlier in March, the ‘Amazon’ of Switzerland, Digitec-Galaxus, began accepting Bitcoin. Starting this week, Bitcoin Suisse, the cryptocurrency financial services company also headquartered in Zug, is taking over the long-term advertising lease at Zurich Airport. As a promotional video confirms, this means travellers are greeted with advertisement for its services, chief among which are cryptocurrency investment and payments. Bitcoin Suisse has taken over the long term lease of the marketing presence in the Arrival Gate 1 (Intercontinental) and Arrival Gate 2 (Europe) in Zurich Airport,” an accompanying description added. For at least the remainder of 2019 and well into 2020, some 11 million arriving travelers and greeters will be presented with the company’s vision and message, as they arrive in Switzerland. What do you think about Switzerland and Italy’s forthcoming crypto payment options? Let us know in the comments below! The post Swiss Bitcoin Adoption is Booming: Famous Dolder Hotel Accepts BTC appeared first on Bitcoinist.com.